1) Get your chest up. Focus on bringing your shoulder blades together and placing each one in the back pocket on the opposite side. When you perform this, back off about 10% and then you should be in a good position for you. 3) 15 minute check. Even if you could hold #1 and #2 all day, you shouldn’t. 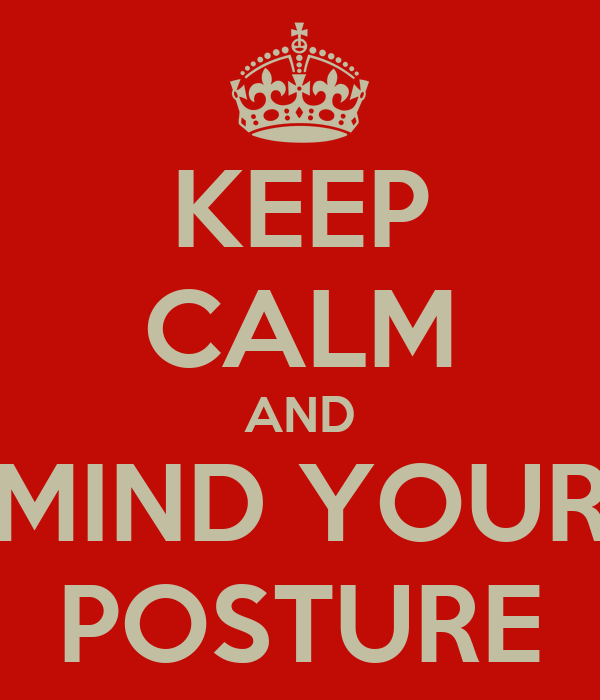 As the title says it, your next posture is your best posture. In other words, you need to move and do it every 15 minutes. Even if you have great posture doing whatever you are doing or you need to get your self to a good posture, you need to change positions every 15 minutes. This could be standing up for 30 seconds or walking a “lap.” Your body is meant to move.